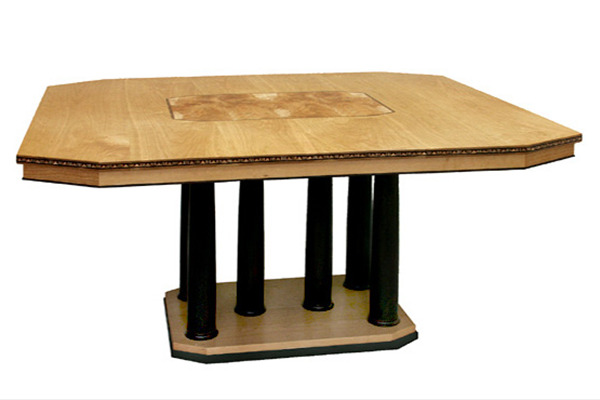 This cherry and burl table is a rectangular version of our Classic Six Column Table. It has a burl center inlay and an ebony, burl and bubinga edge inlay. It seats 6-8 in the closed position and has three 15 " leaves. Available in other woods and colors, with or without edge or center inlays. 48" x 64" x 29.5" expands to 112"